Hamilton May would like to present a comfortable brand new 1-bedroom apartment located in the Rakowicka Podkowa investment. Hamilton May is pleased to present a 95m2 apartment offered for rent, located at one of the most famous streets of Krakow, in the city center. Hamilton May gladly presents to its clients a luxurious apartment with three bedrooms, located in the prestigious building - Miodowa 33. Hamilton May is proud to present a beautiful, superbly designed apartment with two bedrooms and two bathrooms located on the first floor of the prestigious Novum Apartments investment. 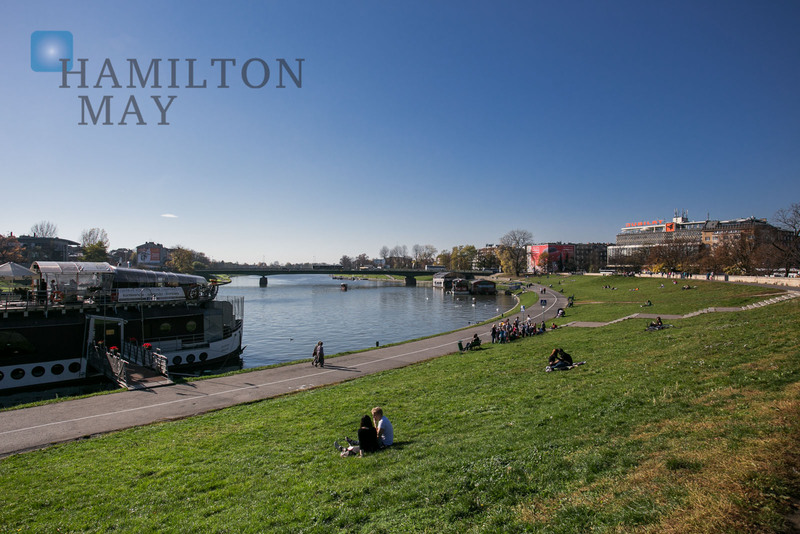 Hamilton May offers 101 square meters apartment in the very centre of Krakow. The apartment consists of 2 bedrooms, living room with a kitchen, one bathroom, toilet, and corridor. Hamilton May is pleased to present an attractive, nicely furnished one bedroom apartment offered for rent in the heart of Krakow's Old Town, at Św. Jana street. Hamilton may is proud to present a functional apartment with three bedrooms, located on the top floor of a renovated tenement house at the very center of Kraków. Hamilton May presents a rental offer of 2 bedroom apartment with a balcony in the center of Krakow, in the new investment of NOVUM Apartments. Hamilton May is proud to present a beautiful studio apartment of 40 m2, finished according to a custom project, located in one of the best locations in Krakow, just a few steps from Wawel. Śródmieście is a primary focus for Hamilton May, and indeed our offices are located in the heart of the city centre and with walking distance of many of the apartments that we offer for rent. Here we provide some general information about the city and the property market, and we recommend review of our current property listings for the most up to date information. Śródmieście is perhaps the most desirable district in Krakow in term of rental demand and many of the offered properties are owned by investors from both Poland and overseas, who have bought to let the apartments. As you would expect, rental prices are still higher than average for Krakow but still represent good value when compared to other European cities. As with any international city, there is a mixture of both foreign owners and local landlords offering both furnished and unfurnished apartments for rent. Perhaps with the exception of the Wola Justowa region, the city centre is the area with the highest density of foreign tenants with many leases being taken up by people visiting Krakow on business trips. Real estate in the city centre of Krakow is characterized by old tenement or town house style buildings (in Polish, ‘kamienica’), some in a poor state of repair, others fully renovated. New build property is as dispersed within the old town although it is less common and more in demand when available because of the lack of supply. Within the old city walls, where cars are restricted, the usage of property is mainly for commercial purposes, such as hotels, shops, restaurants and offices. Although there are also a number of residential apartments located right in the centre of the city, most people who want to be in the city centre prefer to live just outside of the old city walls which is more suited to residential purposes. As you move further from the main market square residential property becomes more widespread and indeed the section of the city centre between the Planty and Aleja (second ring road) contains some leafy and highly desirable residential streets. Because of the historic nature of Krakow’s city centre, parking is relatively limited and a significant premium is associated with any property with parking, particularly when it is secure or in underground garages, so availability of a garage should be taken into consideration if you wish to rent an apartment with parking.